Fan Art Friday is back! 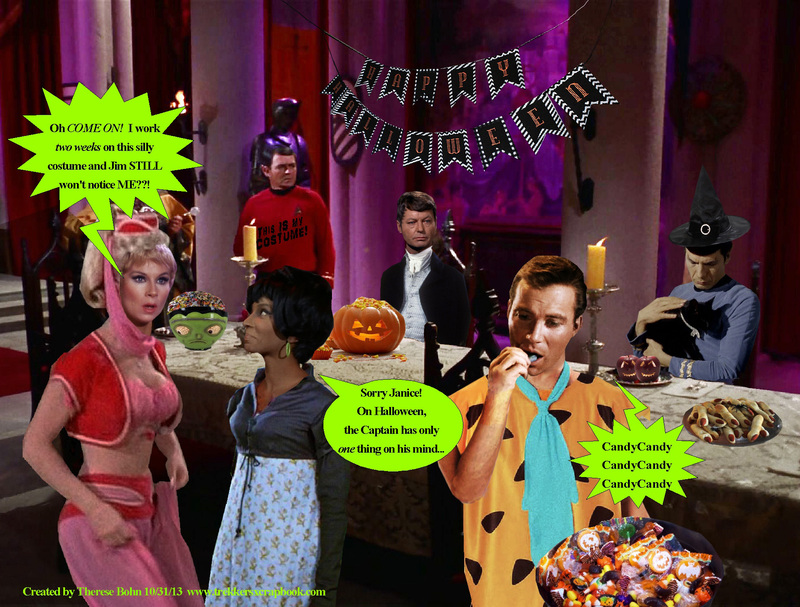 Here to give you your Trek art fix every week! I don’t know who made this, but it screams late 60’s early 70’s ad copy! 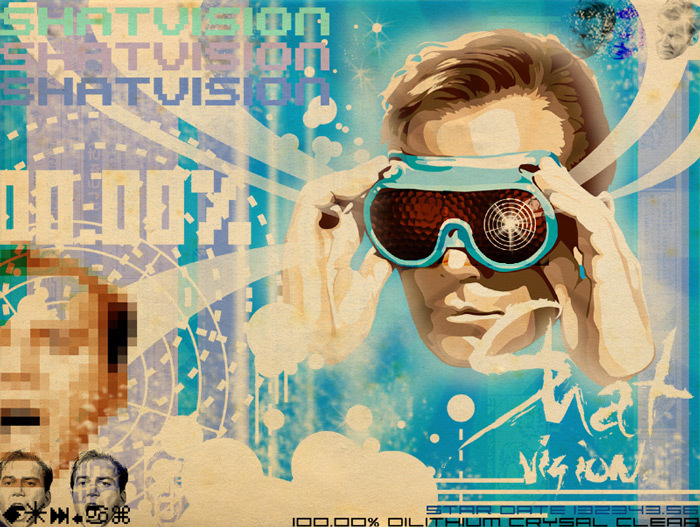 Note the intense mini-Kirks around the edges and that the the goggles are 100% Dylithium Crystal Clear! Brilliant! Friday already? 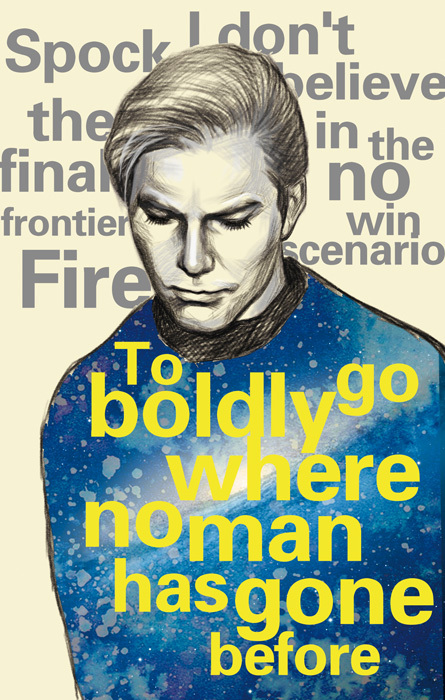 Here’s your weekly dose of good ol’ TOS Fan Art: A beautiful sketch of Captain Kirk (those lashes!) with some of his best known quotes. This was a lovely job by artist dosruby. 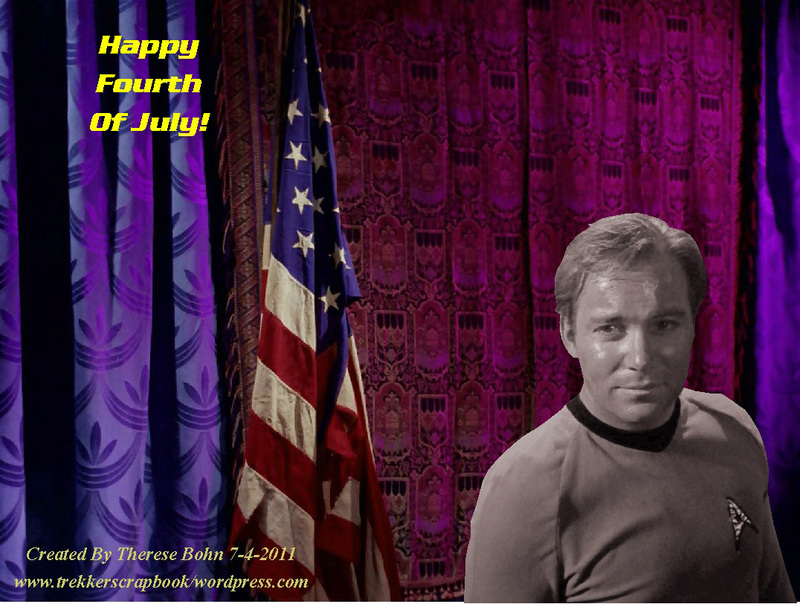 (In case you missed it from last year…) Have a fun day, everyone! Off for my surgery today– here’s something to keep you laughing while I’m out! (My way of making lemonade out of lemons) Jim and Jan on duty? Here’s the original that I ‘modified’. Sorry, I just couldn’t resist! 😉 With Humble and Heartfelt apologies to Bill and Grace. (You know I love you!) 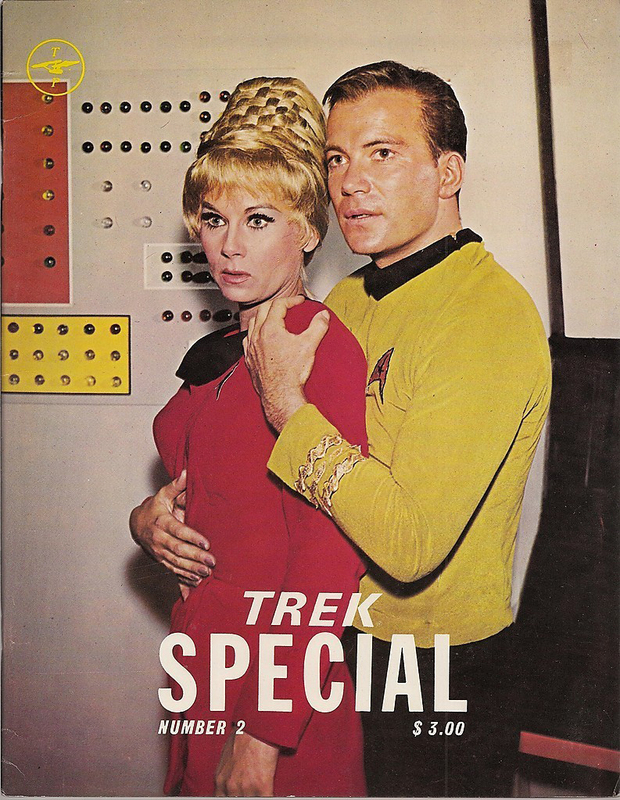 I wish I had this original magazine! 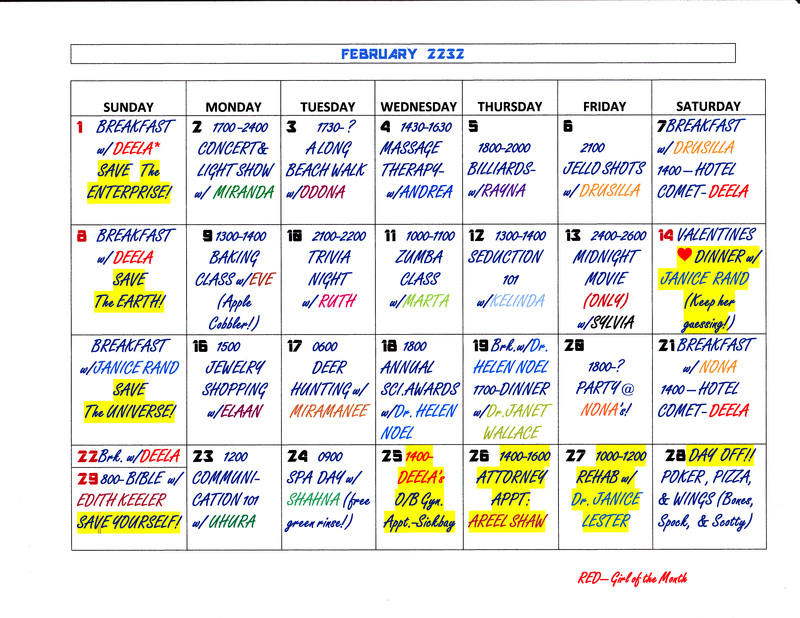 Jim Kirk’s Gal-A -Day Calendar! Sorry I’m a bit late this week with the Fan Art — Had a busy week with a day trip to NYC on Tuesday! BTW, according to my WordPress account here- this is my 700th post! 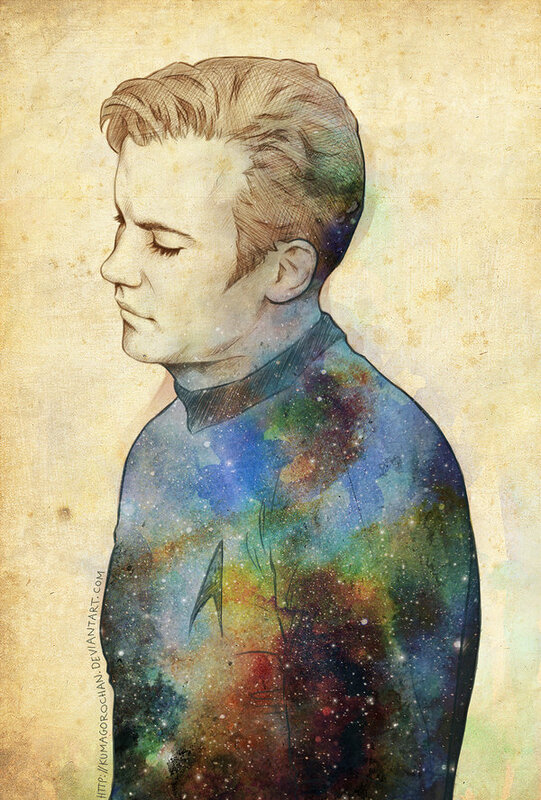 Anyway, here’s a gorgeous Kirk study by Swedish artist Kumagorochan “Starlight” — Just gorgeous.